We might never deliberately set out to confound our employees, but many of us manage to anyway. You may not realize it, but many common management behaviors only drive top performers into the arms of your more forward-thinking, dynamic competitors. Here are five ways managers send ambitious employees running for the hills. By recognizing these behaviors when you engage in them, you just might be able to turn your boat around, reduce voluntary turnover, and improve employee engagement before every last employee jumps ship. Think about the most productive day you have ever had at work. You ticked countless items off your to-do list and time flew by. Before you knew it, it was time to head home, and not one moment of the whole workday had dragged. I’m willing to bet that on that day your manager wasn’t hanging over your shoulder, questioning your every move, and instructing you to work in a very specific way. Micromanagement is nothing more than a fear-based behavior that prevents employees from developing their strengths. Letting go can be difficult, but if you learn to do so, you’ll be rewarded with grateful, independent employees who can develop the skills they need to perform their jobs well. Flexibility is one of the top workplace perks, highly sought after by the best and brightest talent. It comes in many forms — telecommuting, flexible schedules, job sharing, etc. — and some will work better for your business than others. If you refuse to consider flexible working options at all, your employees might begin to question their value to your organization. Many will begin looking for jobs with organizations that do support flexibility. Meanwhile, otherwise happy employees who have to relocate for personal reasons will be forced to hand in their notice, as they have no other option. Flexible work is the way of the future. If you want to attract and retain the best talent, this is the place to start. Innovative companies around the world are beginning to realize that rigidly tracking employees’ work hours is unnecessary for high performance. You can find a famous example in the form of Netflix, which offers employees unlimited vacation time. In fact, the company doesn’t even have prescribed work hours: Employees are free to work when they please. You might think this is a ridiculous approach, but there is certainly a method to Netflix’s madness. Companies that do not track employee hours manage to thrive by shifting their attention to goal achievement. Employees set certain goals, and they are expected to achieve them within a certain time frame. Standards are very high, but as long as employees meet their targets, their jobs are safe and they can enjoy their freedom. Learning and development opportunities are important to employees, particularly millennials. Ambitious, inquisitive, and dynamic employees want to work in environments where they will be able to grow as professionals. Smart companies recognize this fact, using performance management tools such as performance development objectives to ensure their team members are getting the tools and training they need to advance. Denying your employees training and advancement opportunities will result in low engagement and morale. If they can’t get what they need from your organization, your employees will have no choice but to look for it elsewhere. Let’s be frank: Nobody involved enjoys annual performance reviews, and few people believe they are actually effective. Annual reviews are little more than time sinks, dreaded meetings that, due to their infrequent nature, don’t even given managers enough information about an employee’s performance to help improve it. 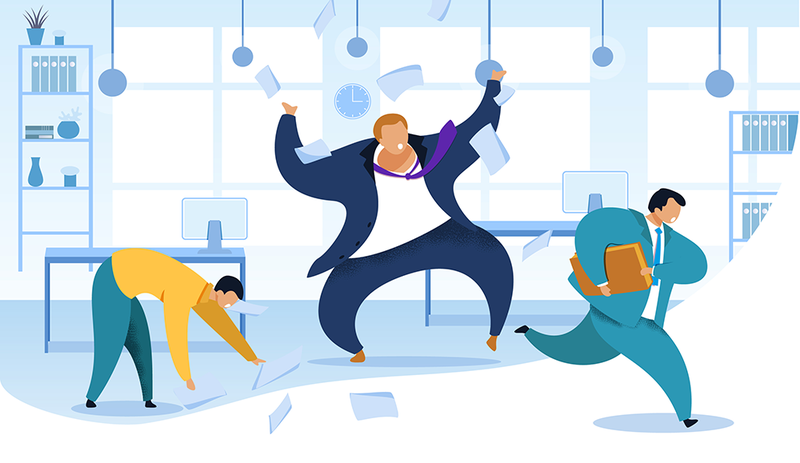 Instead, many companies have decided to switch to agile performance management processes in which employees and managers engage in regular check-ins. In this model, managers and employees build trusting relationships that allow for more authentic feedback. Moreover, the frequency of these meetings allows managers to intervene and offer feedback when it is most relevant, supporting continuous performance improvement.